In today’s law firm marketing world, your content is crucial. Content showcases expertise. Content tells a story. Content conveys brand personality. Content informs the client before a purchase. Content converts a questionable lead to a sold out client. Most of all, content will help you tell the truth, which is why clients buy law services from you. Quality content walks the client through the door of trust. By having excellent content that tells people how you can help and then describes your practice areas and law services, you will reap the reward of business, higher quality leads, and much more effective marketing results. If you haven’t considered the importance of what you are saying to your customers, now is a great time to start. Here are some great tips on what you can do to help improve your content marketing for your law firm. You need to establish a clear purpose or goal for your content. Start by asking this question, “Why should you care about your content?” Now, put yourself in your customer’s shoes. What information will they need to know before they buy from you? If they had never heard of your law firm, what would they need to know before they felt comfortable spending your hard earned money to hire your law services? High-quality content will inform on specific values of your business that the client cares about. If you inform and answer the right questions, then you will attract more leads that eventually convert into sales, phone calls, or emails. Once you have your purpose and goals in place, you can set out on developing content that follows suit. Content for your website, marketing materials, and presentation should never be done with just one person. It’s best to approach content from a team perspective with several sets of eyes on what you’re putting out. This will help with filtering mistakes and communicate more effectively. It’s best to divide responsibility and assign to fit the skill sets of your team. Design, writing, delivery, measurement, and marketing should be split up if possible. Don’t make a fool of yourself and try to talk about something you aren’t knowledgeable about. 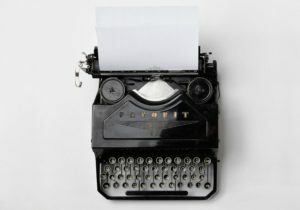 Your content subjects should make sense and you should write about what matters to your law practice and your clients. Your content should answer simple questions. You should also be sure to cover subjects that will inform your customers in areas that they may not know much about. A great example may be taking one of your practice areas and breaking down of the simpler subjects of it. So if you practice personal injury law, then you may take the subject of negligence and explain what that means in a blog post or on your practice area page. It’s crucial that you do something and take some small steps into growing your content. If that means scheduling time to write and develop content, do it. If it means hiring someone part time or a lawyer marketing company to help, do it. (We would love to help you!) Don’t wait to jump in the game. Adding a page to your website or a blog post every once in a while can help you tremendously. Posting content often can also help with your SEO and your ranking on Google! People will only buy what they trust. However, before they trust something, they must understand it. This means that your message and information to clients should be so simple that an 8-year-old could read and understand it. Many lawyers make the mistake of talking at a higher level than what their clients may understand. Don’t be this kind of lawyer! Share the simplistic way that your law services help solve the problem of your ideal customer. If you do that correctly, the clients will come and your cases will increase. If your website and marketing need help, we would love the opportunity to work beside you and help you develop the content marketing strategy of your dreams. We can help you rewrite your message and do everything from brainstorming ideas to designing and writing. Contact us today by calling 918-409-2101.